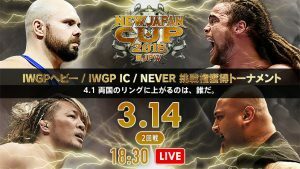 The New Japan Cup continues with another strong show, this one featuring Archer vs Fale and Taichi vs Tanahashi in the first round. 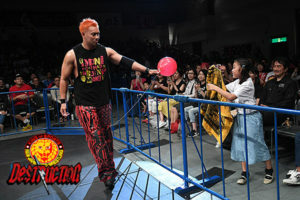 The fallout from Tokyo lands at Korakuen Hall, and even though many people are hurting from last night, the beginnings of many new rivalries are formed among the chaos. 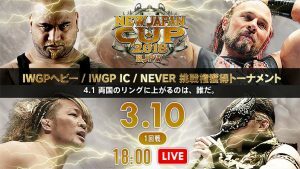 The last big show before Wrestle Kingdom was a good preview of what’s to come with some good matches. 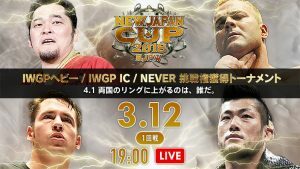 The first of two nights to end the NJPW year at Korakuen Hall in Tokyo serves as a nice preview of things to come at Wrestle Kingdom in a few short weeks. The second round of A Block matches were consistently very good despite not having the same blockbuster match-ups as the opening night. 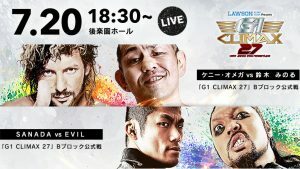 B Block of the 2017 G1 Climax starts with a round of great matches featuring, among other things, Juice Robinson getting off to an impressive start, EVIL and SANADA tearing the house down, and Kenny Omega trying to survive against the maniac Minoru Suzuki! 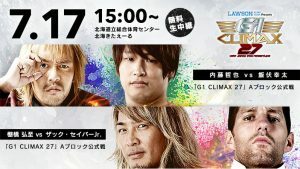 The 2017 G1 Climax started with some good (and some great) matches from A Block and set up the start of B Block in a very nice way with some interesting tag matches! 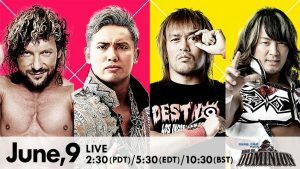 The final stop before Best in the World also happens to be the 300th episode of ROH TV! 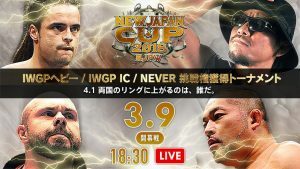 This show had two good matches and built nicely towards the PPV, but otherwise it wasn’t a particularly special episode. 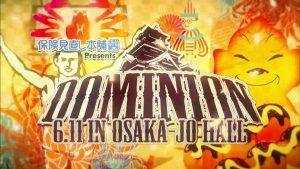 There were a lot of big expectations going in to many of the matches at Dominion, and I think they were met and in some cases exceeded. This was a great show top to bottom. 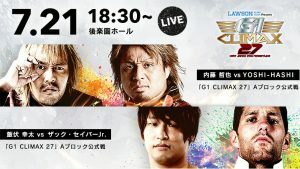 Two nights before the big event in Osaka, the Road to Dominion had a lot of fun tag matches and managed to build some solid interest in all of the upcoming title matches. 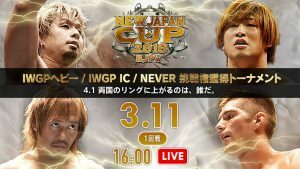 The Best of the Super Jr. 24 tournament ends with great final match a bunch of fun tag matches in the undercard. 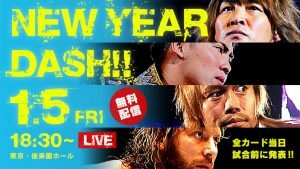 Night one of the 2017 Best of the Super Jr. tournament begins with a series of entertaining matches featuring some great matchups and more than a few upsets.